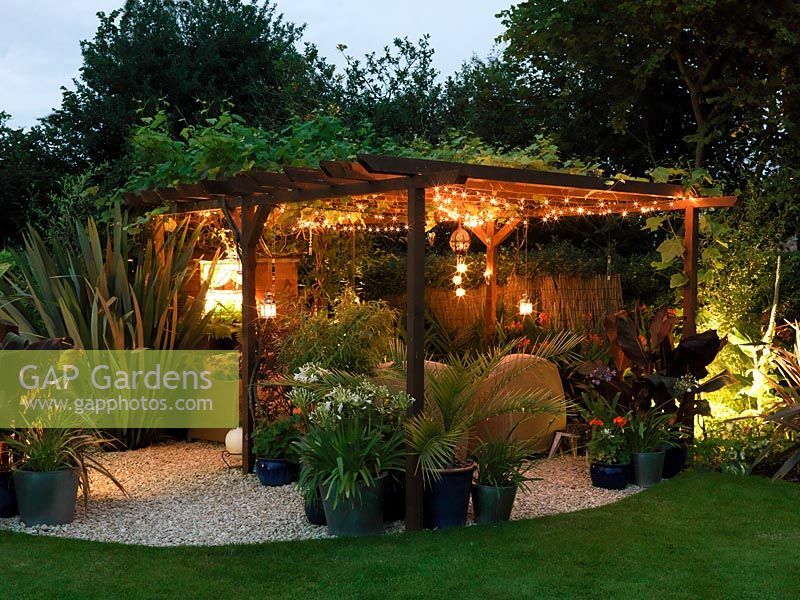 Night view of pergola seating area, flanked by phormium. 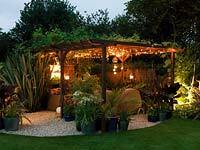 Vine on pergola supporting hanging lanterns and rope lights. Pots of agapanthus, bamboo, acer, fern, canna, palm, geranium. Image 0496947 has been added to your cart.